If you are driving via Lugo-Oviedo on the N-640, you will get through a village called Vilaxe just 3 km before getting to A Pontenova. 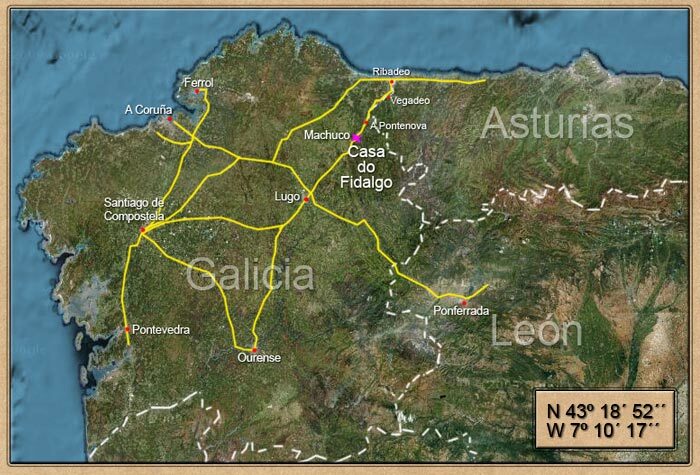 Make the detour called Santalla-Vilarmide and continue on the Vilaeimil, Ribeira de Piquín direction. You will see the name of several villages (like Xinzo, Ermida). Take the route towards Ermida and you will see a shop called "A tenda de Manolo". Keep on 100 metres. Once you see a sawmill, turn to the left to the Vilaeimil, Carballido direction. Now you are in Vilaeimil. 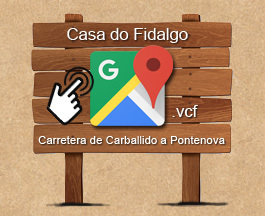 Get through all this village and after 300 metres, make a detour to the left, where you will see a wood sign which reads “Casa do Fidalgo”. Another route to get here is from A Pontenova. Cross over the bridge and take the route Fonsagrada. Do not go off course until you get to the BOGO-MACHUCO direction. 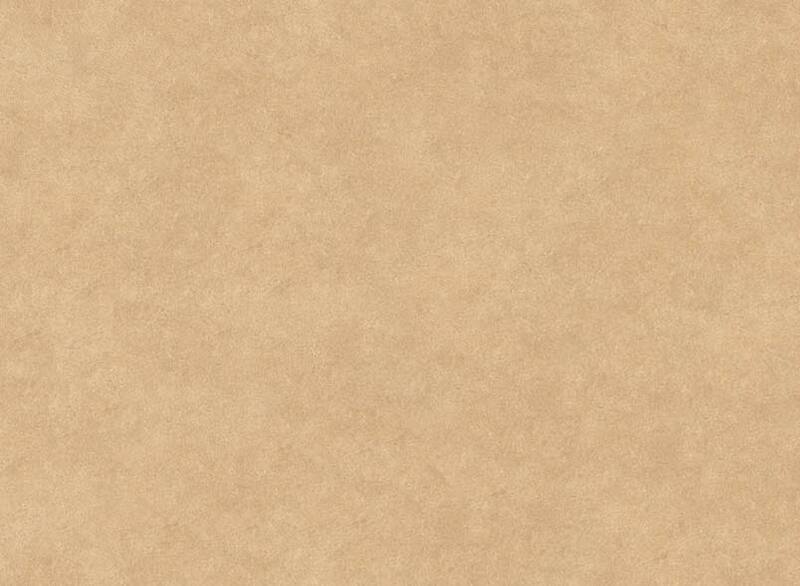 It is 12 km far from A Pontenova.